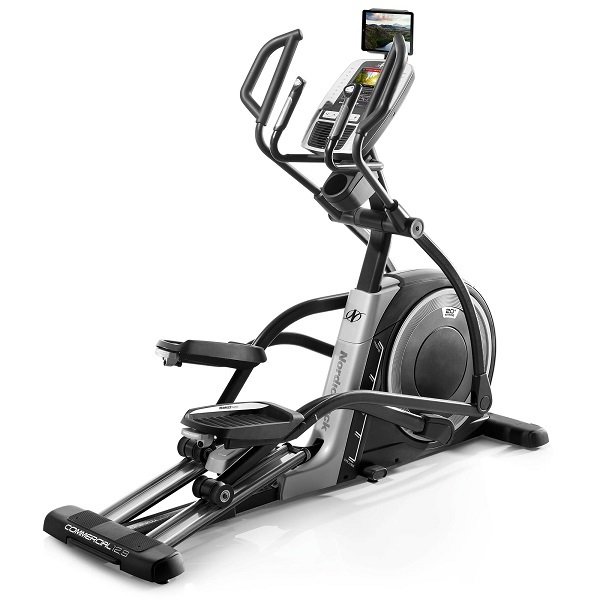 As always, the first exercise that an elliptical provides is the assembly process! DKN manuals are always clear and concise with easy to read instructions. The manual for this model is a bit more complex at first glance, but once you realise that a lot of the pictures and diagrams are showing you the same thing, from different angles, it starts to make a lot more sense and after that assembly is straightforward enough. All the parts were present and correct, and the quality of the parts is beyond question. Everything fitted together exactly as it should and screwing in the various nuts and bolts was smooth and easy. The fact that the parts are high quality doesn’t come as a surprise and it’s good to see that nothing has changed here compared with previous models. Once built the XC-170i is surprisingly compact. With a footprint of just 164 x 74 cm (64.5” x 29”), it’s far smaller than most other ellipticals with this sort of stride length. 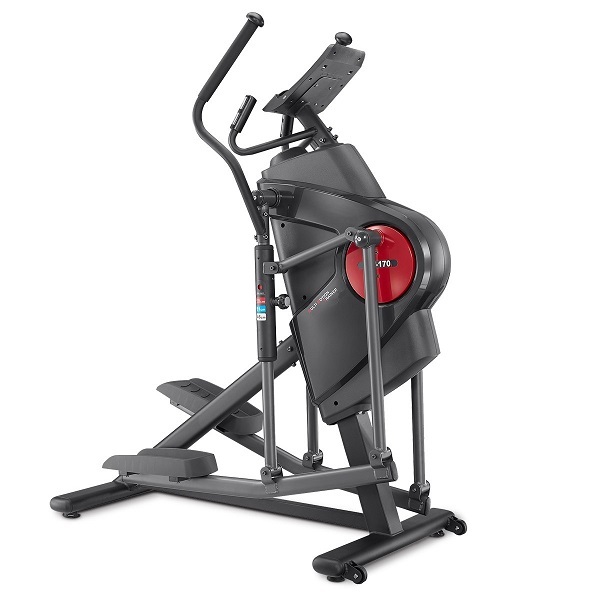 The design is quite ingenious and has elements that we’ve not seen before, but despite the compact nature of this elliptical, there’s something very solid looking about it, with the thick gauge steel used in the construction giving it the look and feel of a serious machine. Aesthetically, the XC-170i looks prim and proper and has a modern, minimalist look about it that’s very pleasing to the eye. 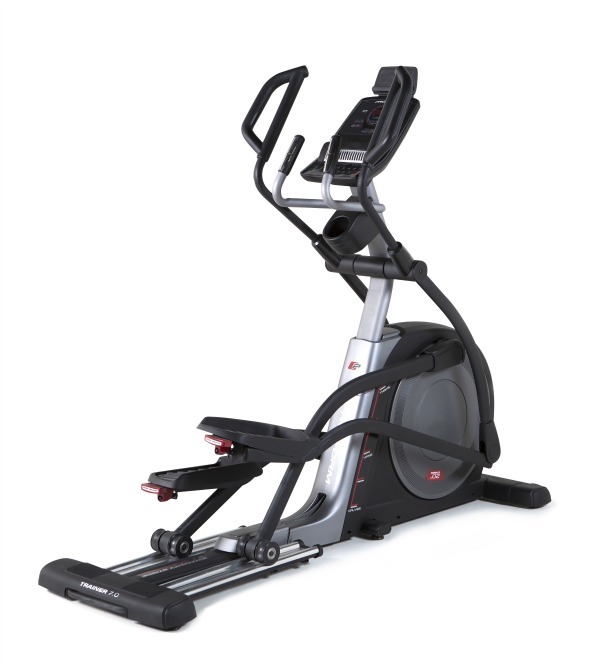 One eye-catching feature of this elliptical is that you can adjust the stride length from 18” to 23” (46cm – 58cm). Eye-catching because of the lengths we’re talking about compared with the size of the machine. We’ve not seen a machine this compact that offers a large 18” stride, let alone anything like as much as a 23” stride! Adjusting the stride length is done quickly and easily via the rear pivoting arms. There are three settings of 18”, 20” and 23” which are selected by loosening the retaining bolt a little, pulling the stopper outwards and then sliding the telescopic arm up or down to position you want it in. All the positions are clearly labelled and colour coded (Red, Blue, White) and once you’ve got it how you want it you just release the pin and tighten everything up again. 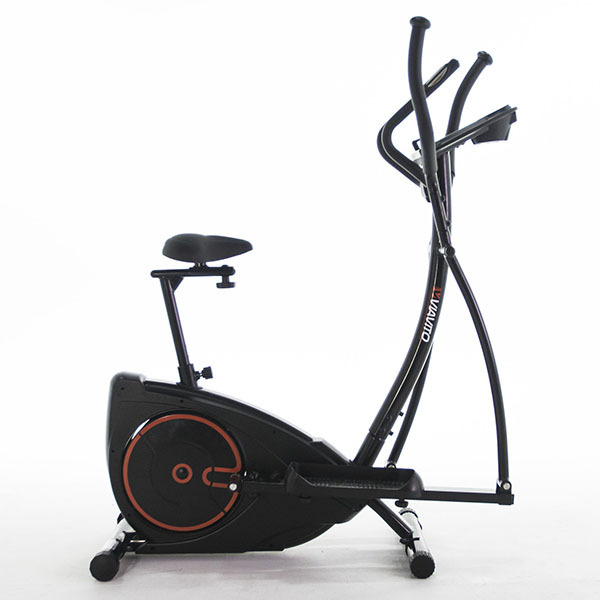 The whole process takes literally just a few seconds which makes adjusting the stride length for each user and/or each session a genuinely realistic proposition rather than a gimmick that most people are unlikely to use after the first couple of weeks and DKN’s experience in elliptical design really does shine through here. The other thing about the XC-170i that really makes it stand out is just how good it feels to use. 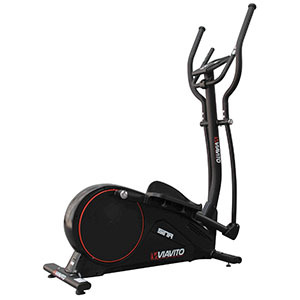 The action on this elliptical is exceptionally smooth and the frame design means that there’s no side to side wobble even when performing a vigorous workout, which makes the whole experience a very enjoyable one. It’s secure and stable, even though you’re quite high up when you’re on it, and again this is down to the build quality which is also noticeable in the smoothness throughout the cycle of the entire ellipse. Ergonomically, the XC-170i is set up really well with the distance between the pedals (knows as the Q Factor) set to just 7cm, which makes it very comfortable and natural to use whether pedalling forwards or backwards. They’ve not skimped on the metalwork here either (as usual) and the 11kg flywheel is a testament to that, but it’s not just down to the choice of the flywheel as it’s simply not possible to achieve this level of smoothness without using high-quality components elsewhere. There’s clearly precision engineering at work here throughout the whole machine and it takes the XC-170i to a level beyond previous DKN offerings. 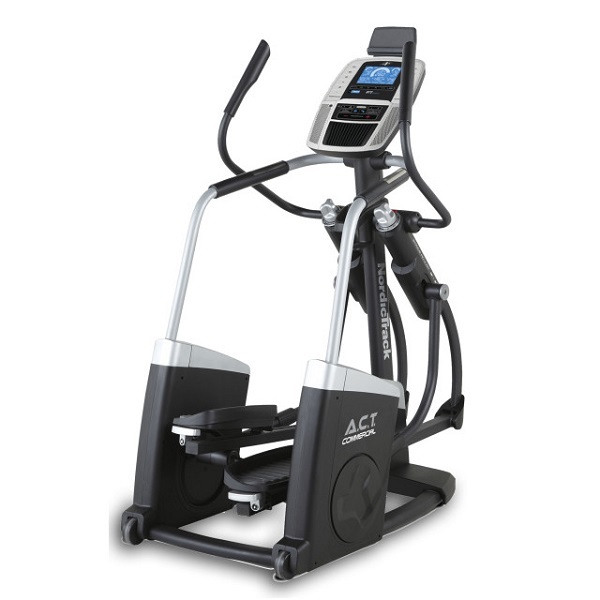 Indeed, it also takes the XC-170i beyond a few, more expensive, big brand name, ellipticals that we’ve tested which are considered to be the standard to aspire to. The quality of this model really is something that can’t be appreciated fully until you’ve actually tested it for yourself. The console on the XC-170i is in the now very familiar DKN style with simplicity at the heart of it. With a grand total of 5 buttons, it’s hard to see how they could really make it any easier to operate. In terms of a quick start, it’s a case of powering up the console and pressing the start/stop button and off you go. In terms of workouts, there are 12 pre-set programs divided into 4 beginner workouts, 4 advanced workouts and 4 performance workouts. More training options include heart rate control programs, Watt based workouts as well interactive training options offered via a smart device (there’s a tablet holder on the console) with Vescape and Kinomap. It’s great to see DKN opening up their hardware to 3rd party software developers such as Kinomap. This can only mean that more 3rd party app developers will get access over time which in turn will keep increasing the training options available on this elliptical. We had a little play around with a few of the above-mentioned apps and everything worked as expected without a hitch. 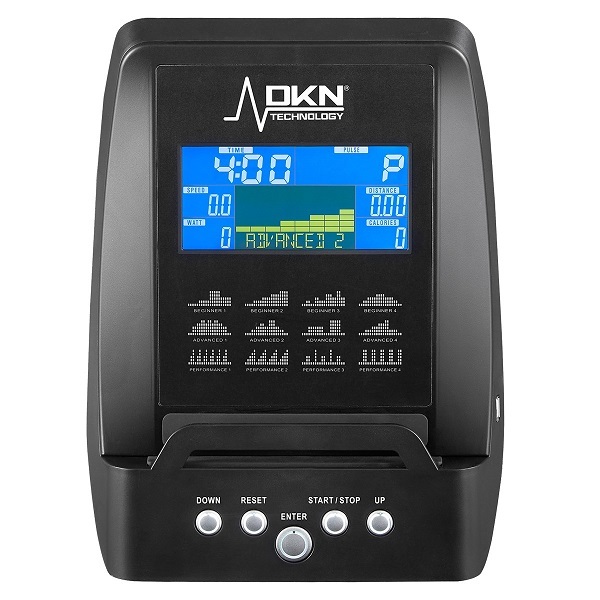 The XC-170i also includes a large cup holder, Bluetooth heart rate receiver and comes with DKN’s 2 years on-site, parts and labour warranty. Verdict? The things we loved the most about this machine are the smoothness and comfort of it, and the compact dimensions. We’re not quite sure how they’ve managed to get such a relatively small machine to feel like it’s a big machine, but they have and it does. And it does a darn good job of it too! 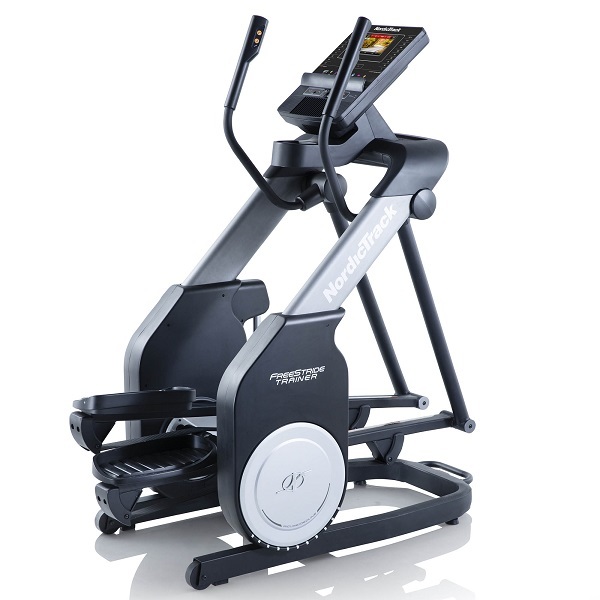 If you’re tight on space but want a high-quality cross trainer then the XC-170i is definitely one that should be on your shortlist. 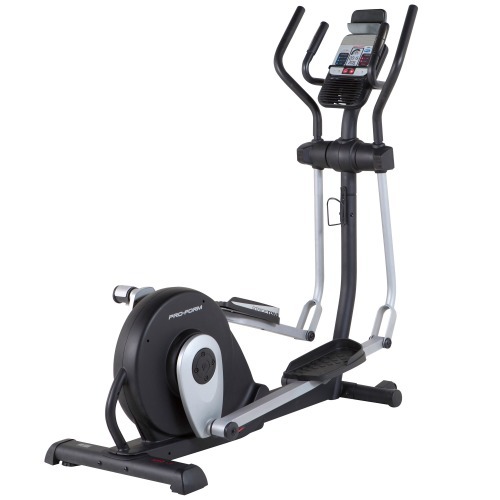 To get the DKN XC-170i Multi Motion Elliptical Cross Trainer for only £1019.40, enter voucher code XC170 on the DKN basket page! 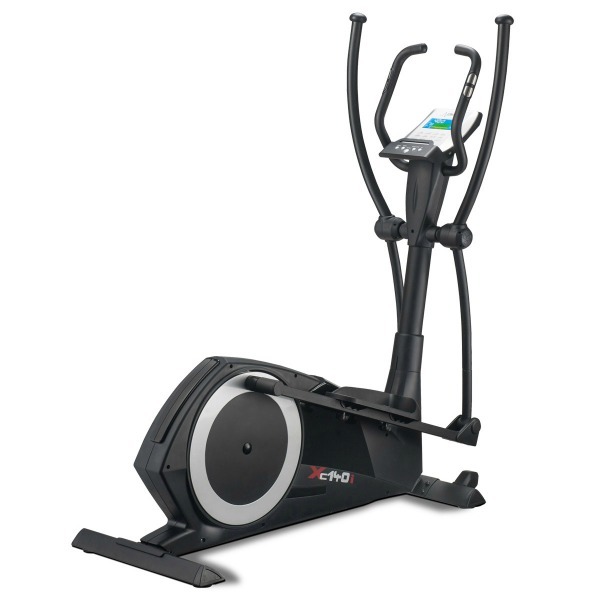 With long, variable, stride lengths, a compact footprint and superb build quality the DKN XC-170i is the sort of the elliptical that we wish there were more of. It feels very comfortable to use due to it's excellent ergonomic design, it's solid and stable to use and comes with enough training options to keep you occupied. It's hard to convey the build quality of this machine in a review without overdoing it, but suffice to say that once you step onto it, you'll know where your money went! Excellent effort, great machine.